I should start this post with an honest confession: I have very mixed views about Valentine’s Day. On a personal level, it is usually either a reminder of how recently my heart has been stomped upon, or perhaps how long since my heart experienced anything, or a huge pressure to ‘get it right’ for the special person in my life at that time. Call me cynical, but shouldn’t we be showing love and appreciation for the people we love all the time, not just because it’s Valentine’s and every retailer and advertising agency is telling us to do so? Before you move on to another post, hold on…! 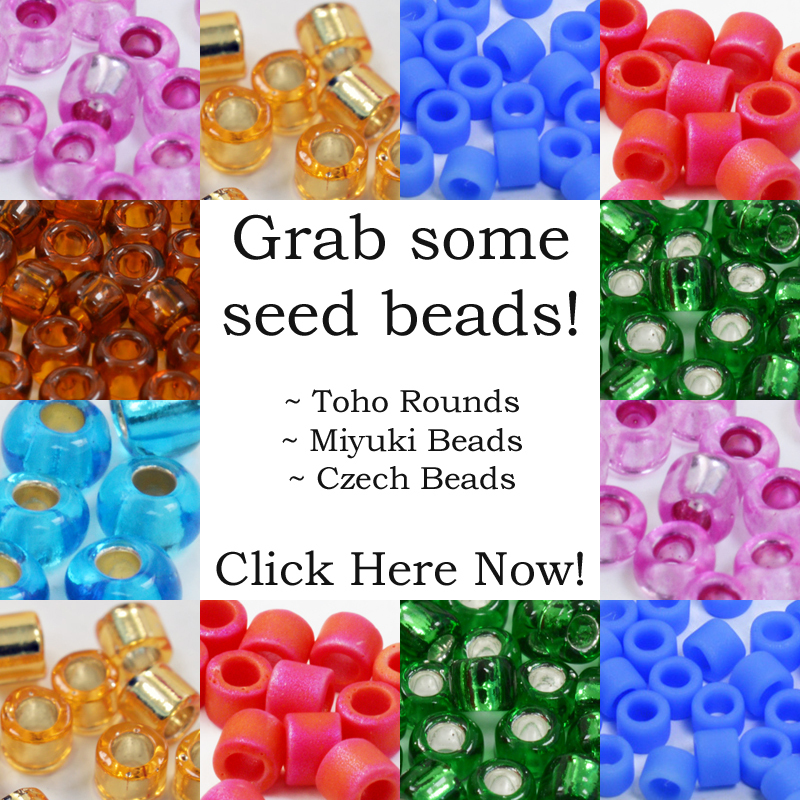 I love beads and I will take any excuse I can to find new ideas and projects. So I’m going to suggest a new idea…hearts and flowers aren’t just for Valentines – they’re for every day of the year. 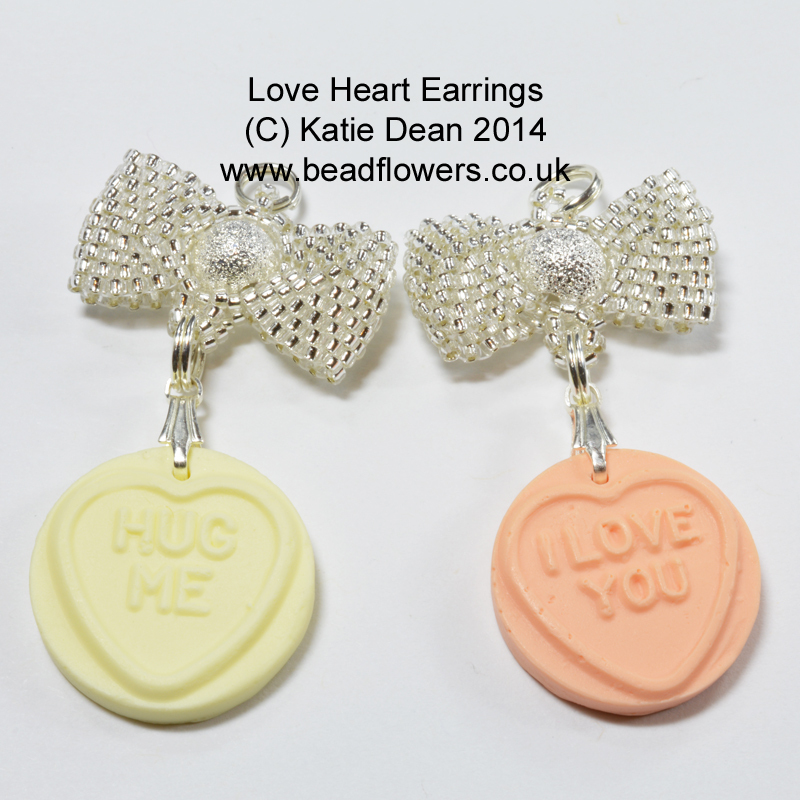 For any occasion when you want to say ‘I love you’ or make someone feel special, or just enjoy some beading. So, for the sake of classification (after all ‘Valentine Beading Projects’ is easier to say than ‘Beading Projects Involving Hearts and Roses’), if you’re looking for some beading projects that are feminine and based around heart or rose symbols and ideas, then keep reading! 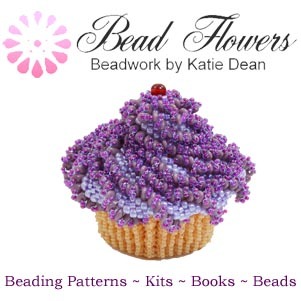 I have a very simple rule: if it involves beads, I’ll happily give it a try! 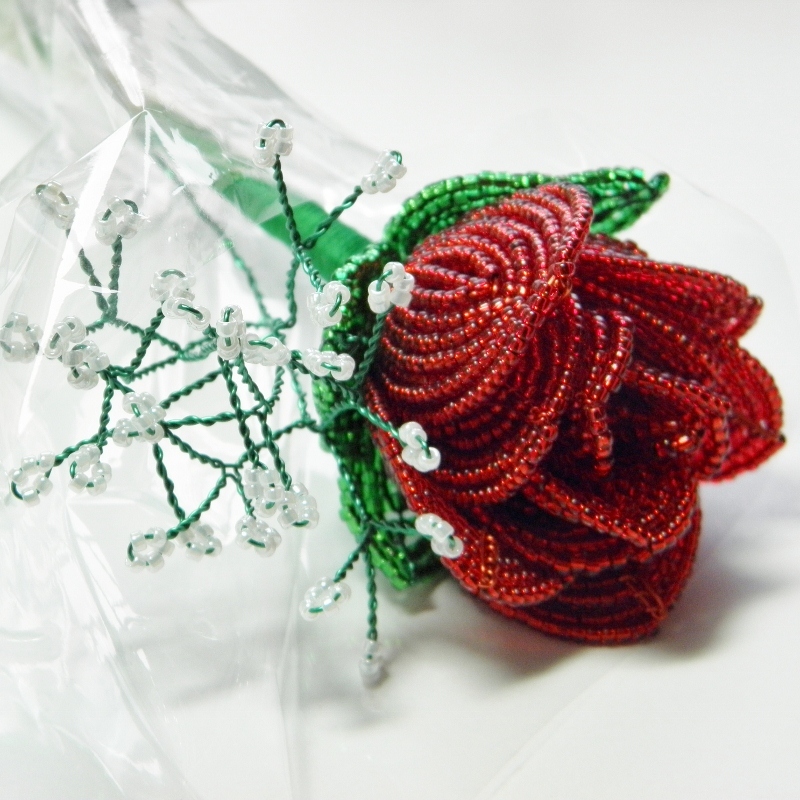 However, it can be good to mix your projects according to your mood, or your skills, so in this section I’m going to offer you some ideas for Valentine beading projects made with needle and thread. 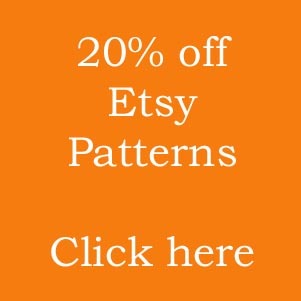 Firstly, if you’ve been admiring the heart pendant pictured above, it is an intermediate pattern and you can find it here. I say intermediate, but to be honest, if you already have just a little bit of experience and you’re happy to push yourself just a little bit further, this pattern will work for you (little hint: the pearl embellishment can be used to hide a multitude of sins!). 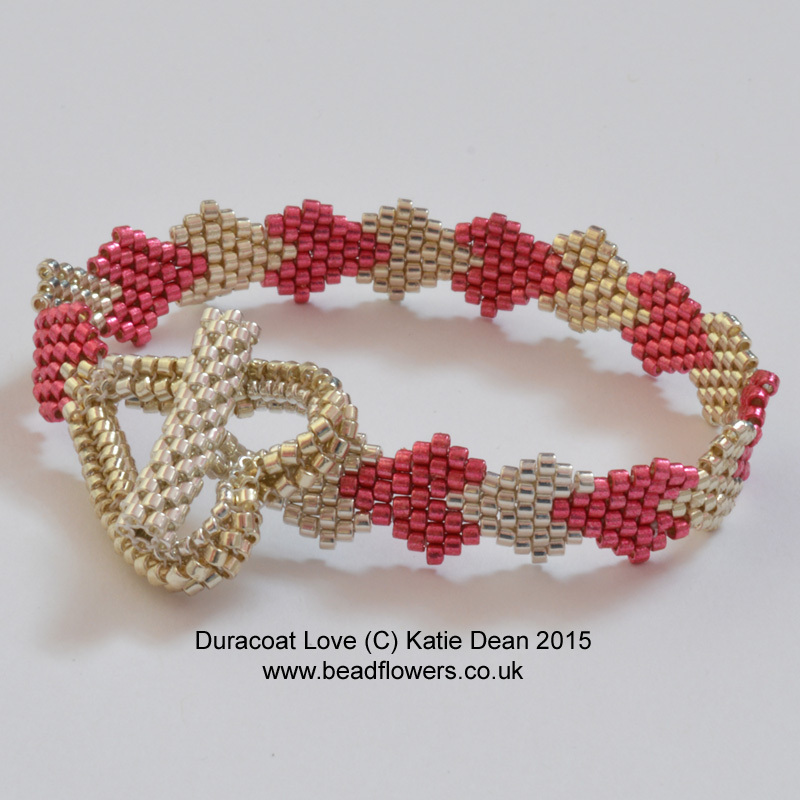 For anoth er heart-inspired idea, this brick stitch heart bracelet is another simple make. 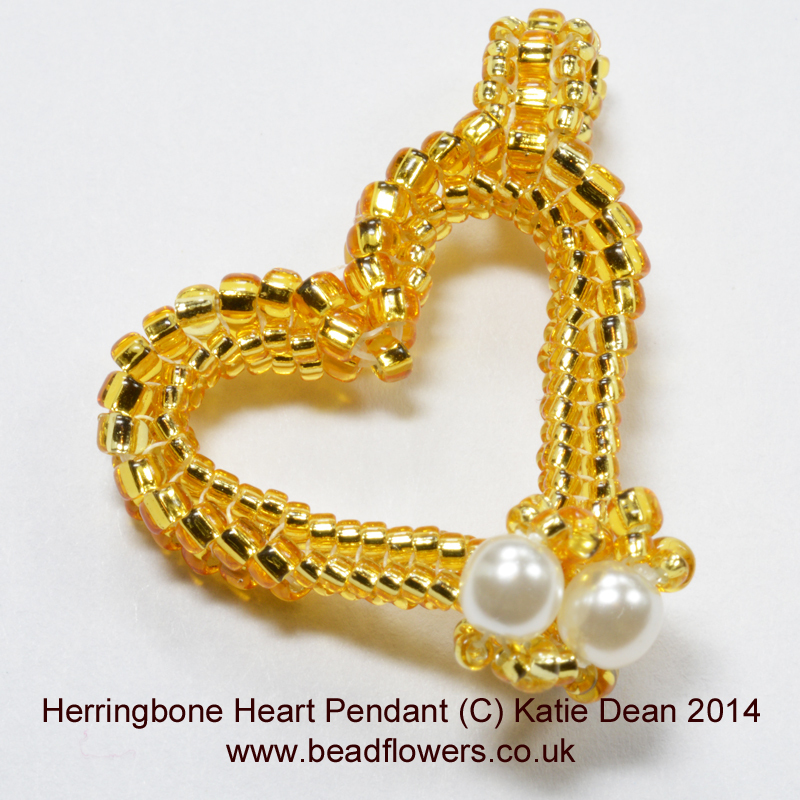 If you’re still learning and are worried about the beaded clasp, or indeed if you’re running short on time and need a very quick make, then just substitute the beaded clasp for a shop-bought toggle clasp…you can find some lovely heart-shaped clasps out there if you look! I’m not sure if this is just a UK thing, but we have cute little sweets called ‘Love Hearts’. They come in packs: the sweets are flattish discs with a little raised heart containing a tiny message. The sweets come in lots of different colours and flavours and they are basically pure sugar (or they taste like it anyway!). The fun part is you never know what messages you’re going to get in your pack. Some ar e sweet, some are a little saucy and some are just plain weird, but they’re a lot of fun and they lend themselves to some clever gift-giving ideas. So, imagine my delight when I found a lady who makes replicas of these as beads! How could I resist creating a design with them? Like the real thing, when you order the beads, you can’t be sure which colour or message you’re going to get, but the results are huge fun. I turned mine into a pair of earrings with a little bow. This is made in Peyote stitch, using size 15 beads, so probably not a beginner’s project, but cute and fun nevertheless! Find the pattern here. 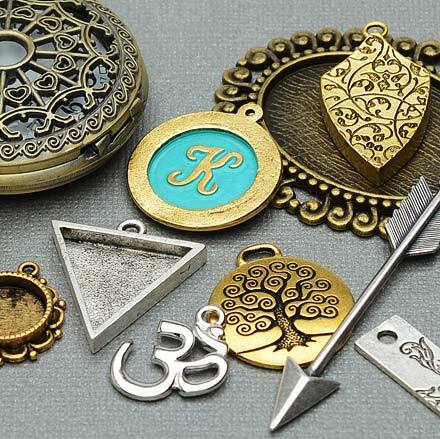 For another jewellery idea, how about this ? 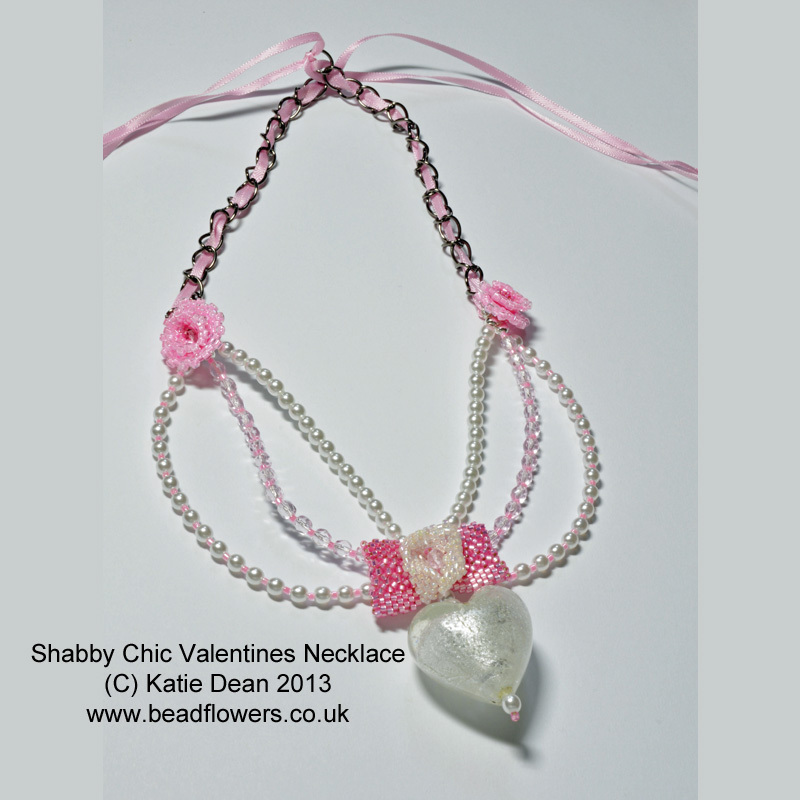 This design originally appeared in Bead and Jewellery magazine when I was asked if I would do something for a Valentine’s special issue with a shabby chic theme. It took a bit of research, but I was pretty pleased with the results. 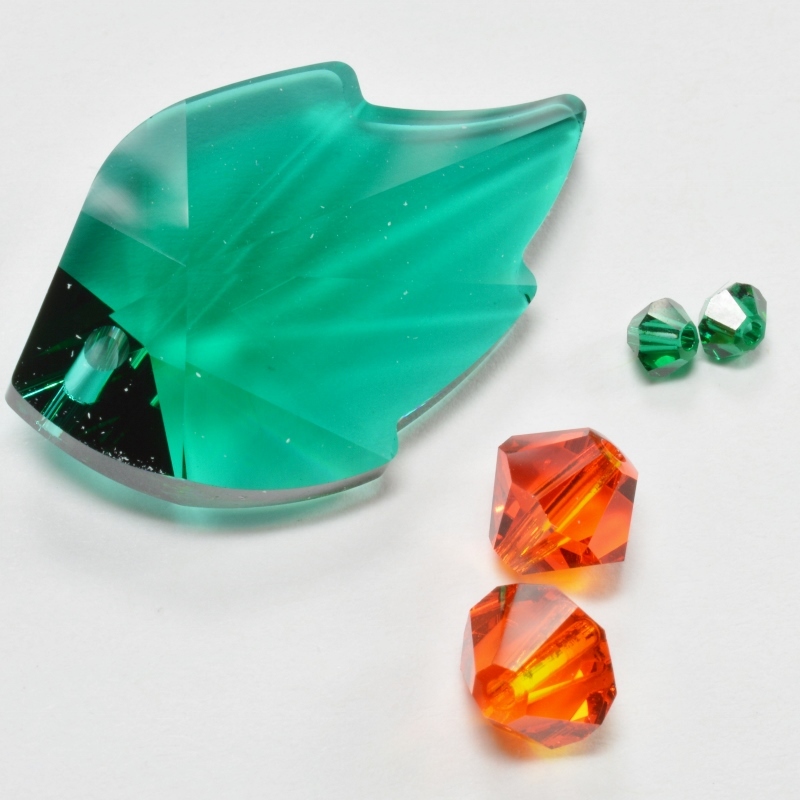 The necklace is component based, using a few different techniques. You can find the pattern here. 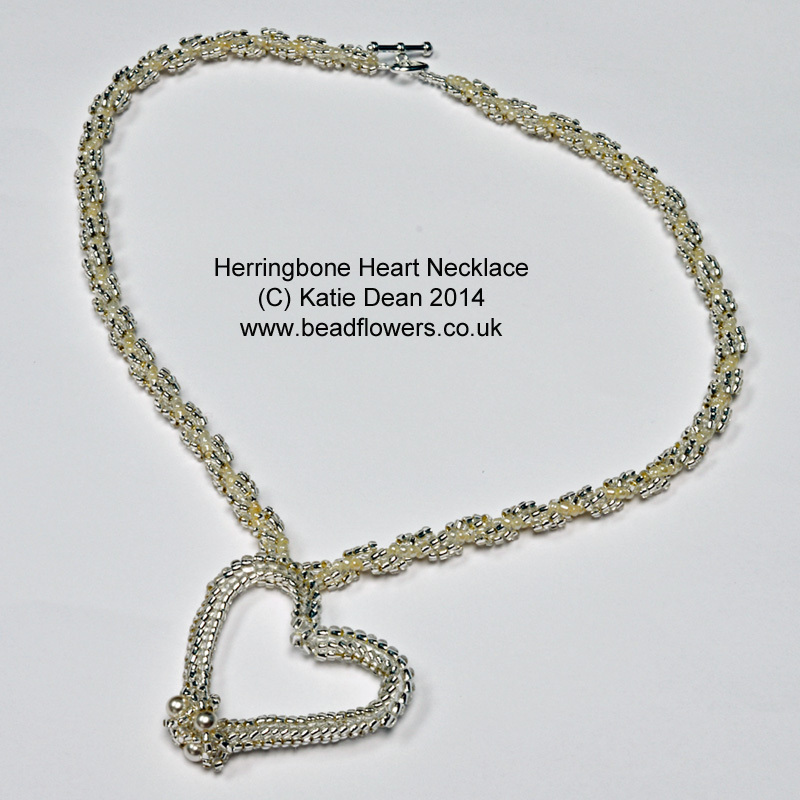 Sticking with the necklace theme, a classic, simple stylish herringbone heart necklace is just the ticket for any occasion. This design works really well using metallic coloured beads to mimic a real silver or gold necklace. You can find the design here. This ut a quarter of an hour and it is perfect whatever your level. I designed it when I needed a project to teach to a group of beginners in just a ten minute session. It can be worn on a necklace chain, but it also makes a fabulous little tag for a gift or a card. I envisaged it as something to attach to a card envelope, turning the card into a little gift as well. You can play around with the colouring to give it an all gold, all silver, or maybe even a dark black-goth look. So, if you’re looking for something last minute, then this project is a sure winner! Last, but not least, you really can’t go wrong with a rose. W hether you make it in the traditional red of love, a pink for friendship, or go slightly more offbeat with a gold or silver, this is a timeless gift that will be very special. You can find a French beaded rose pattern in my book, ‘Bead Flowers and Wedding Bouquets‘ and, best of all, as this is an ebook with video, you don’t have to worry if you’ve never done any French beading before. The book includes video demonstrations of all the techniques, so you will have your first rose in no time at all! I hope you have found this post helpful and inspiring. 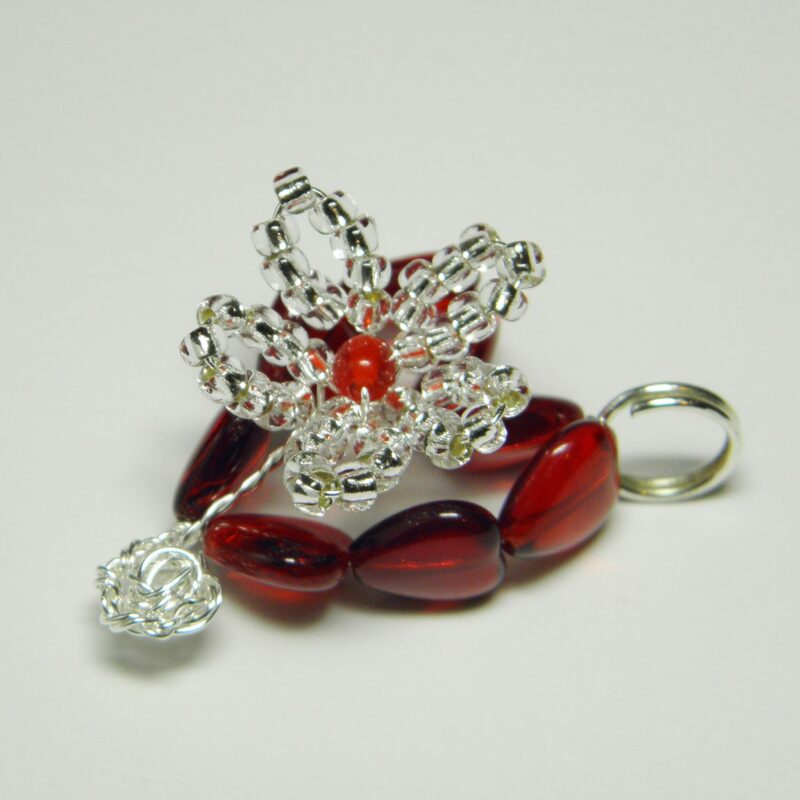 If you want to follow it, then you will be notified when I add some more Valentine beading project ideas.